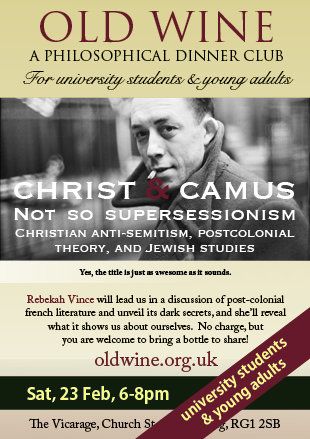 For University students and young adults in Reading. Wine, dine, and discuss. 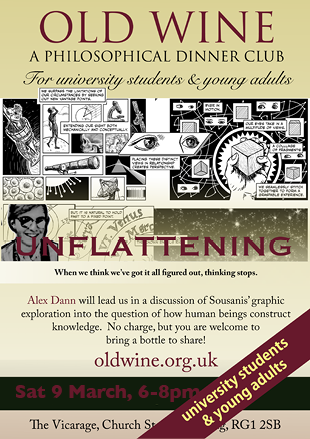 What is OLD WINE™? First of all, don't be scared off by the word "Philosophical." The word simply means "Philo" (love of) "Sophia" (wisdom). No background knowledge is required, its just about exploring the questions we never usually get to ask. 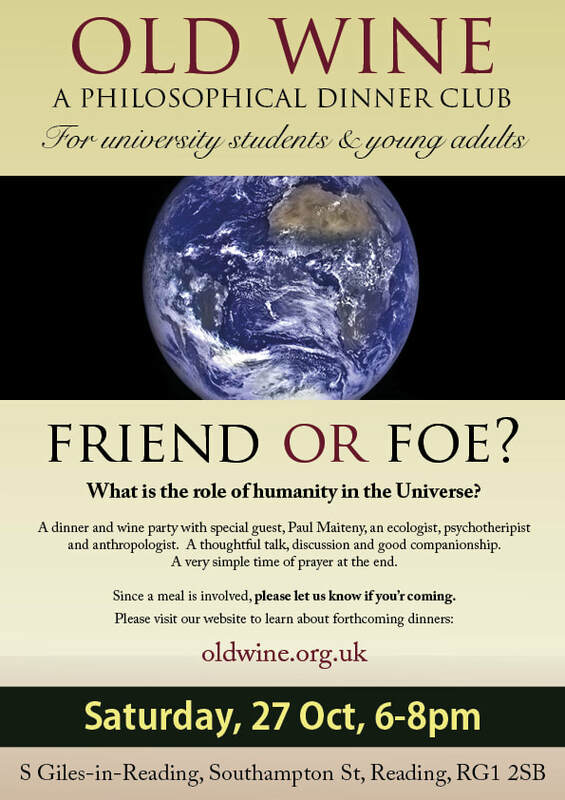 By "old" wine, we mean to stress the importance of digging deeper into the idea of what it means to be a human being, and perhaps a Christian, and what two millennia of history has to teach us. Yes, our Trademark is ironic (-; But we insist on using it. Always. Location? We meet at the vicarage of a Church called "S Giles-in-Reading" on Southampton Street in Reading, UK. The vicarage is near the back of the churchyard. We are in the town centre near the Oracle shopping mall. RG1 2SB in google maps will get you there for sure. Or Apple maps, (good luck with that). The next meeting of the Club is Sat, 10 Nov, 6-8pm. Wine and dine. Thoughtful talks, discussion and good companionship. A very simple time of prayer at the end. Email us or connect on Facebook. IOW... "I do not seek to understand in order that I may believe, but rather, I believe in order that I may understand." These are the three simple ideas that are the foundation of the Old Wine™ Philosophical Dinner Club. Dinner: Whatever happened to educated 20-somethings sitting around a table with good food and wine™ discussing (and arguing!) about the big questions of life? 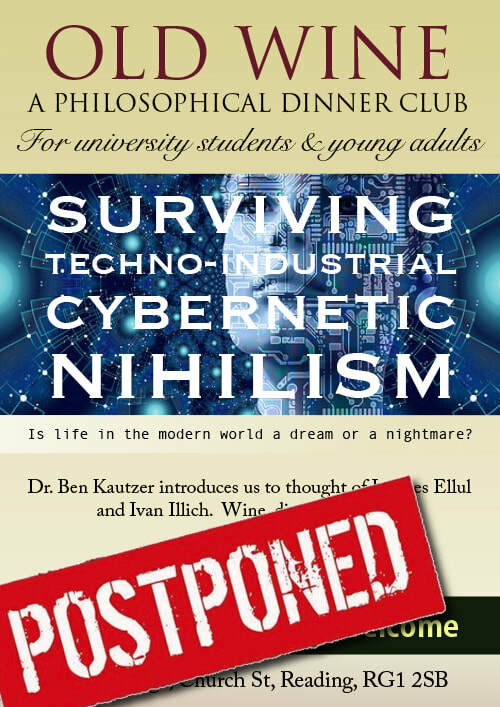 We are also committed to reviving the classic "candle-lit dinner party" in modern society. Wine: What else needs to be said? 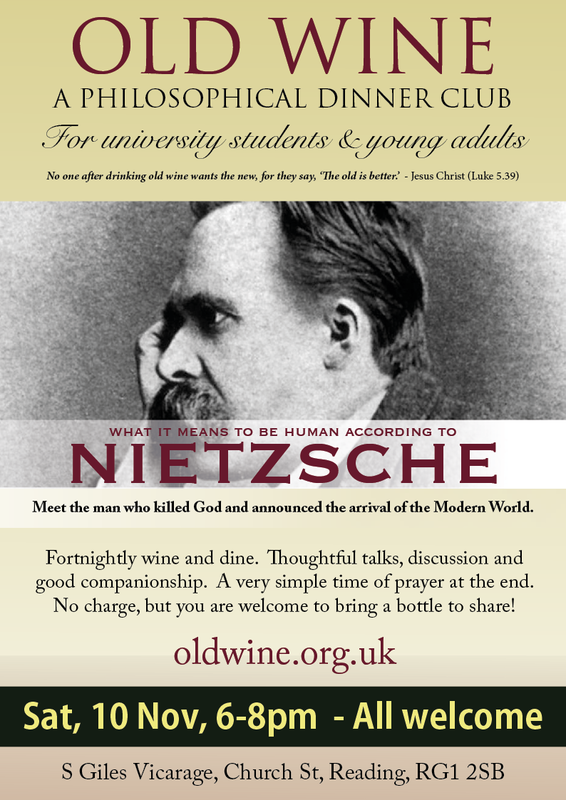 The ancient prayer went like this: "Bless you, O Lord our God, for giving old wine™ to men to ease their hearts!" Amen. Why does everything seem so right, but so wrong? 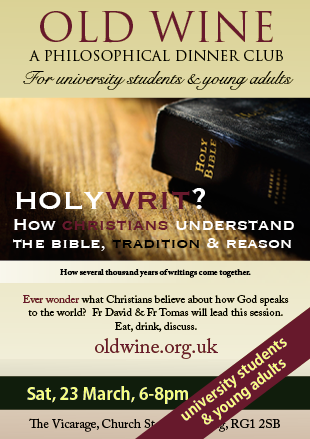 Prophets, Priests, Poets and Christ? Marxism, Capitalism and the Dustbins of History. The Hippies were right about one thing: Never trust anyone over 40. Submit your idea to the Master of the Topics.